​What is Medical Intuition /Clairvoyant Medicine? How did you become a Medical Intuitive? What kind of training do Medical Intuitive practitioners​ have or need? I never thought I would call myself or support others within the field of medical intuition. It is a highly spiritual field of faith, connection, trust, and knowledge. I had imagined that medical intuition was for medical doctors or others, who have been blessed with spiritual insights into some unknown secrets and that those gifts came from the Gods. I guess some of that could be true, but I believe that medical intuition is a spiritual calling, while others believe it is a skill that anyone can be trained to do. I would say it is probably a combination of both: that it is a natural deep calling along with a keen ability that can be refined with training and experience. A medical intuitive is someone that can intuitively connect by seeing, sensing, and feeling into another persons energy body of information from the physical, emotional, and spiritual. Medical Intuition - A Science of the Soul - Your Awakening to Wholeness by C. Norman Shealy MD, PhD defines medical intuition is his book really well - "A medical intuitive is not a street psychic or carnival barker who can "see the future." A medical intuitive is exactly that---a person who has the ability to interpret energetic data often includes behavioral patterns, archetypal patterns that govern the souls path, life traumas, and then there is the presence of physical illness as well as the illnesses that are in the process of developing." I have been practicing intuitive counseling since 2005. I did not step deeper into the bigger calling of a medical intuitive until more recent. It came by supporting many women with an accurate ability to tune into the reproductive system and other systems that had issues and required healing. My train has come from my experiences "reading" others and my personal self expansive work. My training is in Clinical Psychology/ Somatic Psychology and other energy modalities such as Reiki I, Integrative Energy Therapy Level 3, Cranio Sacral, Infant Massage, and hands-on-touch and healing. My life experience has created the path of training with the role of a care taker, suffering with autoimmunity issues from sick to well, and the birth of my oldest son when I created Birth Healing. Birth Healing was the start of a deeper calling to support others to transform trauma from childbirth, cesarean birth, postpartum healing, and pre-birth communication. It shifted even more to become more advanced within conception into motherhood as Spirit Baby Medium. In my private sessions working with over 100's of people every year for 10 years and with people all around the globe. I began to sense and see more and the stories/issues that people held in the body of consciousness: physically, emotionally, and spiritually. I am able to support how to heal and guide ways to change the story for spiritual clarity, better health, and more. I am open to accelerate ny learning with future certifications as I am guided. I could not have developed my confidence and spiritual awareness without the brilliant work of Caroline Myss and C. Norman Shealy. Together they introduced Medical Intuition to the masses and found ways to train, research, and guide others. They both continue to provide wisdom for healing and medical intuition for many. I remember reading all of Caroline Myss's books over 18 years ago and I was so enamored by Myss and her confidence and intelligence of energy, chakras, and spot on abilities to master accurate information from the spirit body of people into a conversation for deeper healing and thriving wellness. Currently, no training is enforced in USA. Training is a great addition and I feel for my journey into this that my training comes from my education with my MA, the energy medicine certifications, and others programs along with internships and life experience. I am big into continued learning and gaining skills for accurate and better ways to support others. Many unique medical intuitive institutes support education in this field. My future plan as I advance into my skills is to teach/mentor others with medical intuition with my Clairvoyant Medicine™​ certification. My podcast: Dairy of a Medical Intuitive will be exposing my process and what it all is about from a grounded and real life perspective. Coming April 2018! My immune system was always crashing in childhood with numerous infections from pneumonia to mononucleosis to strep throat. I have learned it is very common for empaths or "sensitive feelers." I struggled. When I was a teenager I became even more taken over by multiple illnesses. I became very sick and no medical doctor knew what was wrong. I was misdiagnosed and re-diagnosed with everything from it could be MS, Epstein Bar, to Lyme disease or some other virus. I lived on all kinds of prescribed medications and even had IV therapy at 17 years old. It all did not work and left me resistant to antibiotics and other issues and side effects. 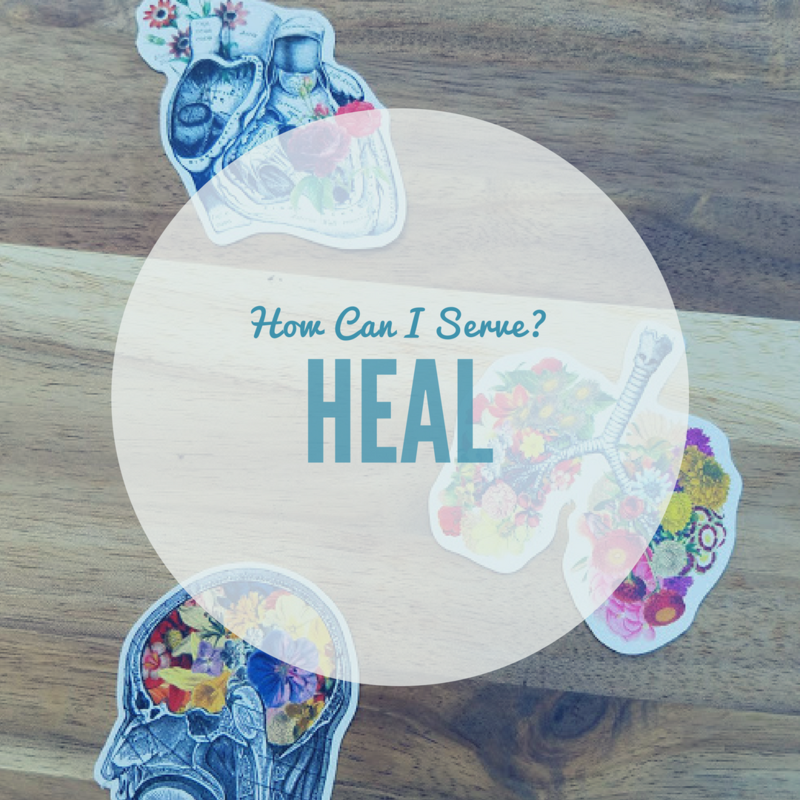 I felt like my body was failing and my system weakened with more stress and more unknown ways to heal. It did not help that I had a huge lack of trust with my spiritual connections. Many years later into adulthood. I had my wake up call. I was 25 and became very sick with inflamed joints, body pains, aches, vertigo, double vision, and other immune dysfunctions. After visiting many doctors with trying to find a diagnosis. I finally found one doctor that did. It was the blood panel that revealed why I was sick. I was told I had Lupus. Not the simple Lupus with rosy cheek rashes, but the kind that attacks the organs and swells the heart and kidneys into possible fatality. Lupus is an autoimmune disorder or disease that attacks the body and immune system. Mayo Clinic defines Lupus as “Lupus is a chronic inflammatory disease that occurs when your body's immune system attacks your own tissues and organs. Inflammation caused by lupus can affect many different body systems — including your joints, skin, kidneys, blood cells, brain, heart and lungs. Lupus can be difficult to diagnose because its signs and symptoms often mimic those of other ailments…” I was not scared and took it as a sign to heal on the next level. It was great to know what I was dealing with. The healing journey had me face many past issues into the present. I was taught that most scientific autoimmune issues are not curable. That once you have it then you would have to deal with remissions and flare ups for the rest of your life. My gut instinct was telling me that could not be true. Science is not an accurate craft. I began my healing in the holistic world and left Western medicine and that was because they could not help a chronic condition and my treatment would involve a massive makeover of my life. No pills could change my consciousness and the agreements I had to recreate. It began with acupuncture and every other natural treatment from Wobezyme to Moducare. I did it all! It was the energy medicine work and more spiritual divine work that got to the very dark root of my illness and had allowed the unwinding into wellness and health freedom. I hope to share more of it in detail someday. It is helpful to know others can and do heal. Is Lupus un-curable? That is what science does with disease and disorders, but it is not true. That somethings are curable and suffering doom is not inevitable. How do I know? I cured myself. I was not sure I could or was able. I have been “disease free” (last blood work form stated) from over 10 years. I want on to conceive 2 children with no issues. I changed my vibration and connection to Lupus. The cure was NOT an overnight process. I worked very hard and would say 10 years to clean my psychical body, the mind in thought patterns, and unloaded new energy into my spirit for awareness and healing. Left Brain Definition: "Conventional medicine, at its foundation, focuses on the biochemistry of cells, tissue, and organs. Energy Medicine, at its foundation, focuses on the energy fields of the body that organize and control the growth and repair of cells, tissue, and organs. Changing impaired energy patterns may be the most efficient, least invasive way to improve the vitality of organs, cells, and psyche." - David Feinstein, Ph.D. SPIRIT BABY RADIO ~ Hosting ~ Diary of a Medical Intuitive ~ April 2018! 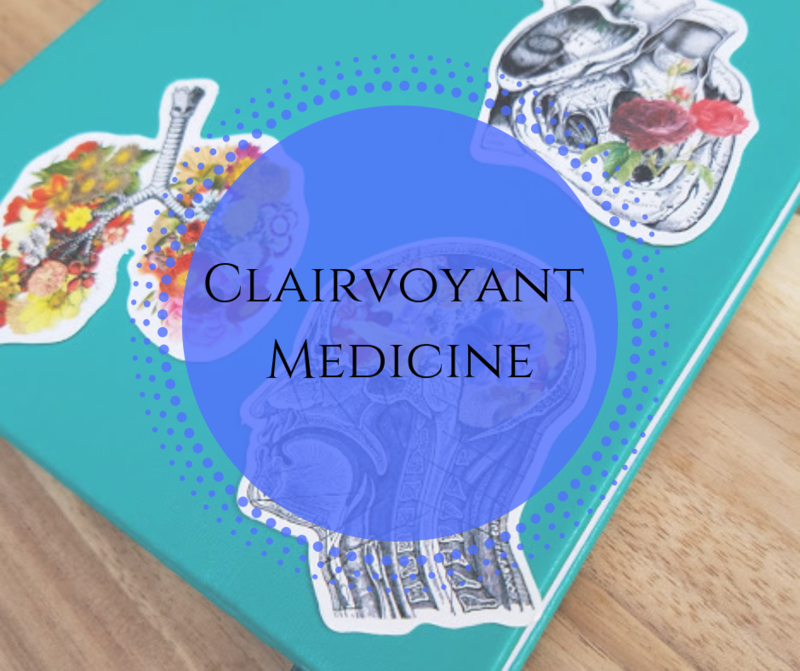 Clairvoyant Medicine™​ involves supporting spiritual awareness with treatment and prevention for whole self healing; It is a collaboration of Somatic Psychology and Energy Medicine and Epigenetics. Private session(s) are for health issues, medical conditions, injury, spiritual crisis, and ILLNESS /DISEASE known and OR ILLNESS or ISSUES unknown. Sessions help get insights and support. A PRIVATE session involves a detailed look into the energetic system within the physiology, psychology, and spiritual. I am able to see all parts of how energy moves through your bodies systems of tissues and organs. Your body and spirit will share information and get whatever is needed for healing and health. A medical intuitive session goes into a deeper look “inside”at your body and information is shared about it and what you need next to support your health, whether it be allopathic medicine, holistic therapies, and or other wellness options. *I am not a medical doctor or professional* If you have a medical emergency contact 911 or your local hospital. Once payment is received for services you get link to booking online calendar. The session requires space that is private and where you can go inward like in a meditation. The session begins with a conversation to what brings you into the space. I have a body map and notebook to write down and draw what your body looks like and what you need to bring balance back. I feel we can get to the root of the issues for healing awareness and next steps. 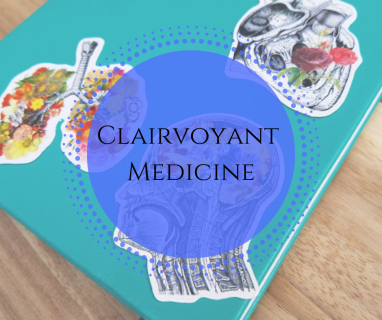 Clairvoyant medicine session is an advanced medical intuitive scan of all bodies from physical, emotional, mental, and spiritual field of energies. It involves a deeper Intuitive Scan and Organ Energy Body scanning of 11 Areas of the body… Skeletal System, Muscular System, Nervous System, Respiratory System, Cardiovascular system, Lymphatic system, Digestive system, Lymphatic system, Endocrine system, Urinary system, and Reproductive system. This session also involves a Wellness Plan to apply to as treatment for a 3 month period, more or less. In that plan you get intuitive guidance on what your body and soul could use for support to further your healing. You get Intuitive Scan, Organ scan, results, and suggested treatments. Supporting BUT not limited to these: Reproductive Issues (Fibroid(s), Endometriosis, Gynecological Cancers, PCOC, STD's, Autoimmune Issues (Thyroid/ Endocrine System/ Lupus), Digestive/ Ulcer/Polyps/ Cystic, Chronic Viruses, Physical Injury, Generational Cancers, and Genetic Issues. Clairvoyant medicine session is on-going support and created around your healing needs. It involves a deeper Intuitive Scan and Organ Energy Body scanning of 11 Areas of the body… Skeletal System, Muscular System, Nervous System, Respiratory System, Cardiovascular system, Lymphatic system, Digestive system, Lymphatic system, Endocrine system, Urinary system, and Reproductive system. Not only do we scan in each session, but also go deeper for healing and build specific healing methods for you to use at home and to continue the transformation of mind, body, and heart. With 5 sessions we channel in how to change cells, get to the root of issue, unwind layers, work with your consciousness, build new agreements, discover what you need, and this involves Energy Therapy and Somatic Psychology counseling. You can get a medical intuitive perspective WITH or WITHOUT a diagnosis from a doctor. Sometimes you need more help on understanding how to go deep on your wellness and medical intuition works great in collaboration with allopathic medicine and holistic medicine due to non invasive and gentle approach. This package is supportive to continue the work. After a Clairvoyant Medicine/ Intuitive Scan then what? Let's go deeper and create change and get you to towards feeling great and experience healing that is profound. 5 (1HOUR) sessions towards healing with medical intuitive wisdom that works with your physical, emotional, mental, and spiritual field of being. With 5 sessions we channel in how to change cells, get to the root of issue, unwind layers, work with your consciousness, build new agreements, discover what you need, and this involves Energy Therapy and Somatic Psychology counseling. Your 1 hour session each time includes: verbal agreement, you receive MP3 of session to download, and how to prepare for your session after booking with online calendar. *Weekend appointments per request by email please. Let's go deeper and create change and get you to towards feeling great and experience healing that is profound. 8 (1HOUR) sessions towards healing with medical intuitive wisdom that works with your physical, emotional, mental, and spiritual field of being. With 5 sessions we channel in how to change cells, get to the root of issue, unwind layers, work with your consciousness, build new agreements, discover what you need, and this involves Clairvoyant Medicine, Energy Therapy, and Somatic Psychology counseling. This session also involves a Wellness Plan to apply towards your wellness journey. All rights reserved Kelly Meehan. This website is for information for private sessions, events, workshops, and consultations with Kelly Meehan and the resources shared. By requesting a private session Clairvoyant medicine, energy healing, advice, counsel, and information or scheduling an appointment with Kelly Meehan, you understand and agree that Kelly Meehan is not a healthcare professional, medical doctor, or other medical licensed professional, and she cannot give medical advice. Any information, advice, suggestions or insights provided by Kelly Meehan should not be used to replace any healthcare or medical care or diagnosis from qualified and licensed professionals in those fields. Private Sessions, medical intuitive support, consolations, emails, telephone conversations, media events, online workshops or any other advice by Kelly Meehan is intended to support your personal experience, but does not anyway constitute medical health care. Kelly Meehan will not be held liable for any damages resulting from the use of this website, books, podcast, Blog, online events, and other social media sharing. All persons or events related thereto, and or with any and all actions or decisions that you may choose to make as a result of said usage, including without limitation, actual incidental and / or consequential damages resulting from any claims resulting from any act or omission, negligence, fraudulent misrepresentation or otherwise, including limitation, personal injury, personal death, loss of income or emotional distress, errors or omissions, or otherwise.